B102 Two Lever Single action control each lever. Operates separately either the throttle or the shift. Suitable for use with Outboard, Inboard or I/O powerplants. 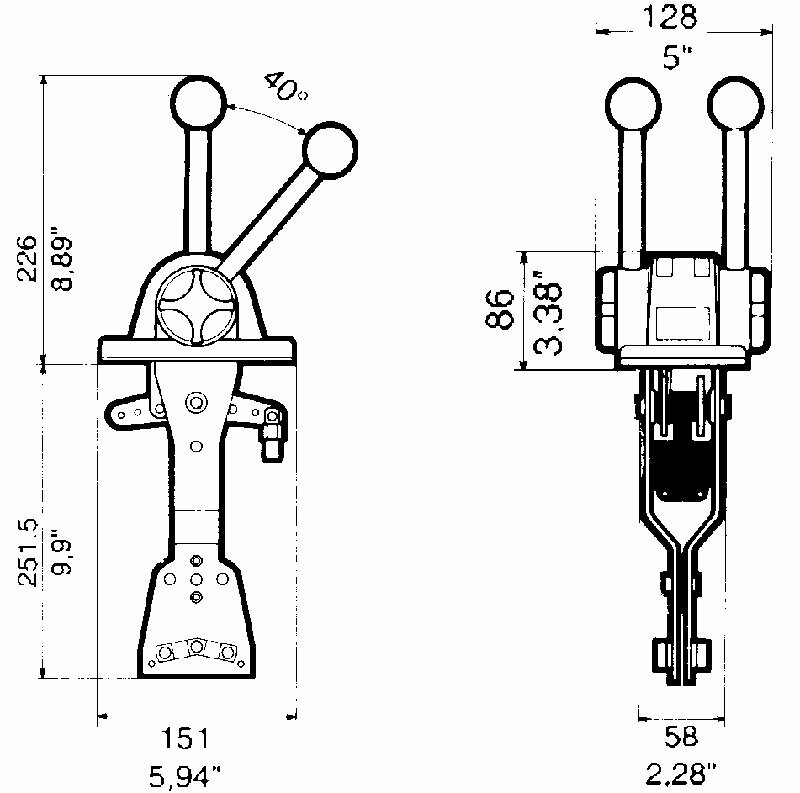 The Shift lever detents and with a break tension release system adjustable from the outside of the throttle lever. Neutral safety switch prevents in-gear starting. 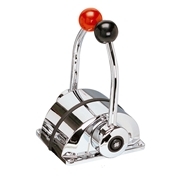 The design makes this control suitable for exsposed positions such as a fly bridge. For use with Ultraflex C2, C8 and C0 engine control cables and 33C style cables. Ultraflex C22 cable and 43C style requires K32 - 34662 Z connection Kit. B101 - 36856 P Throttle and shift. White painted. 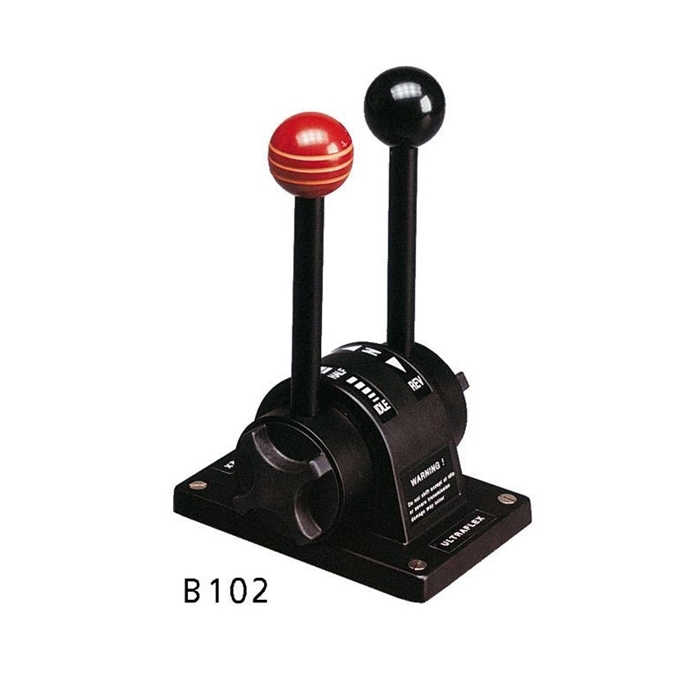 B101T - 36942 M Throttle only. White painted. B101S - 36898 F Shift only. White painted. B102 - 36899 G Throttle and shift. Black painted. 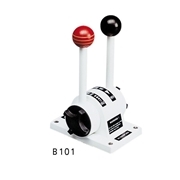 X54 - 39340 V Silver knob for B101-B102.